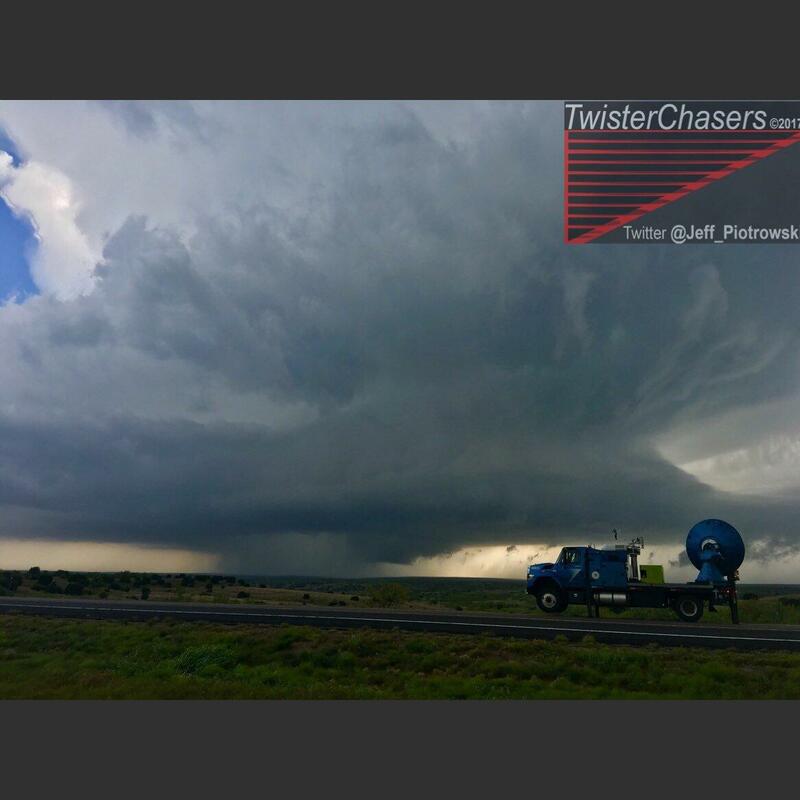 The supercell that produced the damaging tornado at Elk City Tuesday evening. 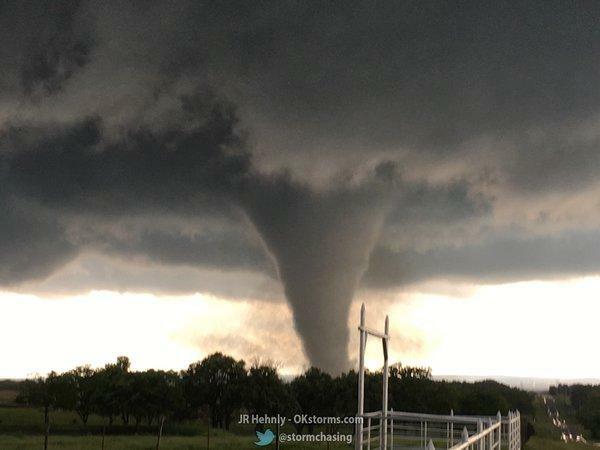 Officials in Oklahoma are assessing damage after tornadoes hit the Western part of the state Tuesday evening. One tornado touched down in Elk City in Beckham County, injuring at least 10 people and killing one. 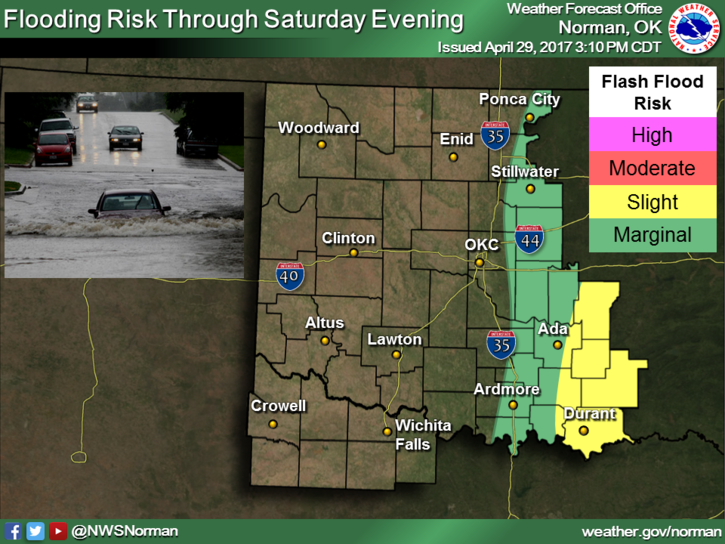 Elk City Police Chief Eddie Holland estimated the storm severely damaged more than 75 homes. “[Lots of houses] are missing roofs, [there’s] severe damage to almost all of them,” Holland said. Holland said power lines are down and power companies are working to restore power to residents. The National Weather Service in Norman has not yet released information about the strength of the tornado, but tweeted early Wednesday that it will be surveying the damage. Oklahoma’s News9 reported the tornado could have been an EF-2 or EF-3, and said early estimates tracked the tornado’s path as about a quarter of a mile wide. The Elk City tornado passed within about 1 mile of the Mesonet weather station site, which measured a 74 mph wind gust as it passed, according to a Mesonet tweet late Tuesday. Police are encouraging displaced residents to seek shelter at the city’s First Baptist Church. 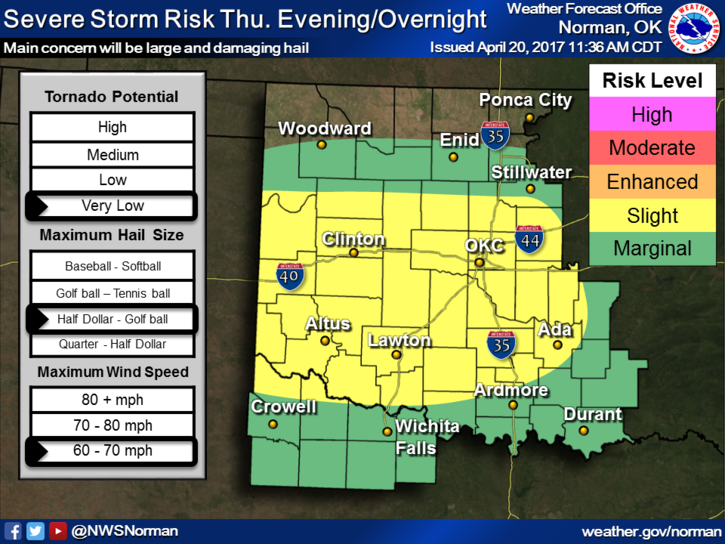 A spokesman for the National Weather Service said Northwest Oklahoma could see more severe storms Thursday. Oklahomans should brace for a storm season was an above-average number of tornadoes, according to meteorologist Gary England. England told KGOU that a weak La Niña phenomena typically leads to an active tornado season. “There’s been a bunch of years with a weak La Niña, we had a lot of tornadoes,” England said. A weak La Niña occurs when temperatures in the equatorial Pacific are slightly below normal.